British-American model and TV personality Calum Best has earned many admirers and fans with his dashing looks and personality. Having dated several women in his life, he dropped a bomb when he spilled the fact that he wanted to get married and settle with the family. The California native is mostly recognized as the son of the football legend George Best. He starred on reality shows including Fool Around With, The Match and Big Brother. Calum Best is also known to the world as the celebrity kid to famous father and footballing legend George Best. Let's take a look inside the handsome TV personality's life, achievements, and career. 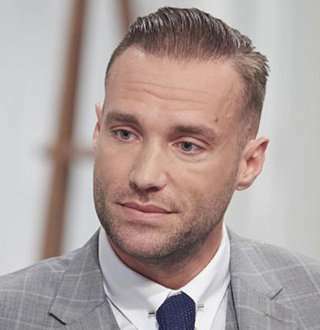 Calum Best was born on February 6, 1981, to Northern Irish Footballing legend George Best and mother Angie Best, who was a professional model. He was born in San Jose, California but was raised in the glamorous city of Los Angeles, the USA. 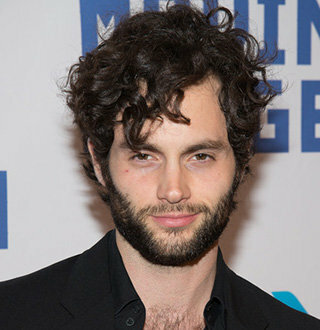 Born to celebrity parents, he spent most of his childhood in the USA where he was influenced to be a fashion model when he was in his mid-teens. Later when he was 21-years-old, he moved to the United Kingdom, the native country of his parents. Calum made his debut as a television personality when he appeared in the reality TV show 'Fool Around With' after moving back to the United Kingdom. For almost two years, Calum got featured in the ITV’s Celebrity Love Island since 2005. He eventually won the second series on 28 August 2006 and appeared in the final episode of ITV’s Footballers’ Wives. Likewise, in 2006, he traveled along Paul Danan and Fran Cosgrave from Texas to Los Angeles appearing in the ITV2 series Calum, Fran and Dangerous Danan. The same year, he launched a men’s fragrance named “Calum” putting all his input including the smell, bottle, and packaging. The package got distributed by Jigsaw ESL. After the success with the first one, Calum went on to launch his second and third fragrance named “Best” and “Day and Night” respectively. In the year 2008, he starred on RTE’s Livin’ With Lucy and appeared in MTV’s Totally Calum Best. Then in 2009, he became a judge of the TV show Paris Hilton’s British Best Friend where he tested the participants flirting abilities. In November of the same year, Calum presented the BBC TV Documentary Brought up By Booze: A Children in Need Special. Later, he appeared in Channel 4’s Come Dine With Me where he dined with presenter Jeff Brazier, Janice Dickinson, Samantha Fox in 2010. After two years, Calum won the title Celebrity Bainisteoir managing Moy Davitts of Mayo. And in early 2015, he participated in the 15th series of Channel 5 reality series Celebrity Big Brother where he became third. He again returned in the series on the 19th season and finished seventh. For two years, Calum became a cast member of the E! series Famously Single in 2016 and 2017. On 22 March 2017, he presented the documentary named My Best directed by Luigi Maria Perotti which helped him deal with his identity crisis and alcohol problems. With a handful of career, Calum, who is a huge fan of having tattoos all over his body, has amassed a net worth that is estimated to be $8 million. As for personal details, he has been romantically linked with several women. Calum's dating list includes several women such as Jodie Marsh, Caprice Bourret, Georgia Salpa, Sarah Harding, Bianca Gascoigne, Brandi Glanville, and Jessica Shears. Besides being a boyfriend, Calum is also an alleged father of 11-year-old daughter Amelia Best Hogan. He and his baby mama, Lorna had an affair back in 2007. However, they do not have any communicative relationship. With his ascending number of age, Calum appears to be getting serious about plans. Very recently, in June of this year, Calum was rumored to be dating beautiful model Hannah Murrell, who is only 21, full 16 years younger than 37-year-old Calum. Apparently, the couple met during a cruise journey from Barcelona to Ibiza and hit it off right away. Not someone to dive into relationships with fervor from the very beginning, Calum is assumed to be taking things slow, going on a few dates, getting to know his new girlfriend, discovering if the two of them are compatible with each other. As of now, they seem to be doing okay. This happened in June of 2018, meeting each other and taking things slow, but since then there has been no news about the direction of the relationship, which could mean that Calum is still dating Hannah and the two of them might be going ahead. During an interview with the independent Calum hinted that he was getting serious about getting married and start a family. He stated his single status and then revealed that he would love to be married to an Irish woman. Not only did he talk regarding his preference in his girlfriend, but also disclosed that he had started a daily planner business in August via partnership. With a stable business on the side, Calum is planning best for his future in full on speed. He wants to have an established business for his future, and also a beautiful Irish wife who he can build a family with. It appears that he has finally started getting serious about relationship and future.